On Thursday and Friday I attended the Oracle ACE Director briefing at the Oracle HQ. On Sunday I was “presenting” in Larry’s keynote on the big screen. Yes, that’s me: the “lady in red” jumping to the “cloud”. That was FUN! On Monday I got the Devvy award for Database Designing. On Tuesday I attended the Publisher Seminar the first time (I am working on my second book 😉 but it is still kind of secret so do not tell anybody). On Wednesday I met Mark Hurd. What makes it SUPER GREAT is that Mark tweeted about our meeting! Thank you Mark! I enjoyed the meeting and I really appreciate you listened what we had to say. On Thursday I attended the WIT breakfast and signed books. Great event. I met so many “old” friends, made so many new ones and I learnt a lot. I am so happy and excited. It definitely was worth all the traveling! See you next year again! Now I am at the Ljubljana airport waiting for my flight home from the amazing tour of SIOUG 2015 and HrOUG 2015. The HrOUG took place on a beautiful island on Croatian archipelago. I am so calmed by that environment, I simply love the sea. The HrOUG is famous for its parties, food and drinks. And it did not let us down this time either 😀 Every evening (starting from Monday) there was a party until morning. We did have great fun! Thank you for letting me attend and speak in this wonderful conference. I really must remember to come back to SIOUG and HrOUG every year! Now I must run to my plane. I did not realize how much I have missed the HrOUG events! And here I am now, lucky me. It has been some years I was at the SIOUG conference last time and I was extremely glad I could make it this year. I really missed the wonderful SIOUG people! For some reason both SIOUG and HrOUG have always been close to my heart. The 20th anniversary conference was held in a beautiful town of Portoroz. The conference was two days: Monday and Tuesday. On Monday evening we had a big party with speeches, belly dancers, band and much more. We saw photos from past years and people from those photos were given small gifts. The meal was delicious and the cake was beautiful. Thank you Janez, Elizabeta, Joze, Urban and many more for making the conference such a great event and thank you for letting me come on such a short notice! You are doing a great job! Now I am in Ljubljana, Slovenia. 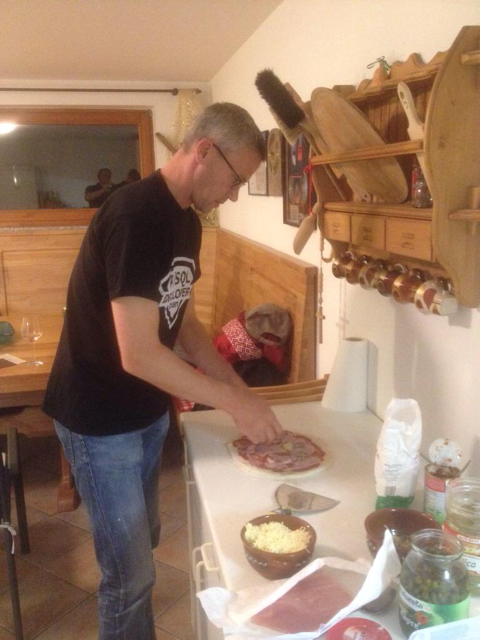 I arrived here yesterday and had a wonderful pizza party with my good friends Joze Senegacnik and Alex Nuijten and of course Joze’s lovely wife Lili. Joze has made this pizza oven himself and the pizzas are the best in the world. Since Alex is also interested in cooking, Joze was teaching him how to make pizzas. And he did learn very well! Excellent pizza! I am one of the finalists for the Oracle Database Developer Choice Awards on Database Design Category and I am really proud to be nominated as one. And I am excited that Oracle is recognizing the work we database designers do. There has been too many years that this work has been undervalued. And most of all I am extremely happy and honored for all the votes and wonderful messages you have sent me. But… Being on this contest has made me think about the meaning of the community and how it works. This morning I read a blog post by Jari Laine (http://jaris.blogsite.org/apex/f?p=BLOG%3AREAD%3A0%3A%3A%3A%3AARTICLE%3A201510100617461772) followed by a blog post by Denes Kubicek (http://deneskubicek.blogspot.fi/2015/10/oracle-database-developer-choice-awards.html). Reading these posts made me really sad. Is the community really only about taking, not giving? Does these “taking members” of the community think the “job” of a “giving member” is just to serve them when they need help? We (“giving members”) are all doing this on volunteer basis, on our own time. We LOVE Oracle technology, we LOVE to learn new things and we LOVE to share our knowledge. We do have our daily jobs but we still want to invest our time for the community. To my opinion the least a person helped by any of us candidates (or other wonderful “giving members” of the community) should do is to vote to show that the help has been valuable. And the worst a person can do is to down vote somebody because wants his/her fav candidate to win. Do you know how bad it feels to see those down votes? To me it implicitly means that to this person my contribution to the community has been NEGATIVE. Have I used my valuable time, instead of spending time with the family or making more profit to my company, for the community to create negative impact? Should I stop doing it? I know the negative does not mean that, it only means you want your candidate to success better but if he/she does not succeed with positive votes maybe he/she has not done enough for the community yet? Or has done less than the other candidates. 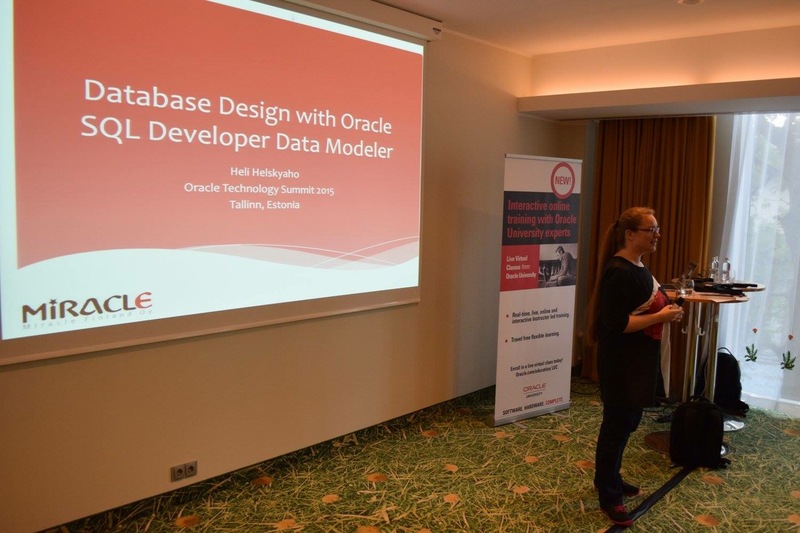 “This is your chance to have your say in the community, and help reward great contributors who build up the Oracle Database developer community.” See the word REWARD. If you give negative votes to get your fav candidate in a better position you are not REWARDING anybody, instead you are discouraging great people to continue their valuable work to the community. The Oracle Community IS A POSITIVE thing and it should continue being such. This is your chance to say THANK YOU. Yesterday was a busy day for me. 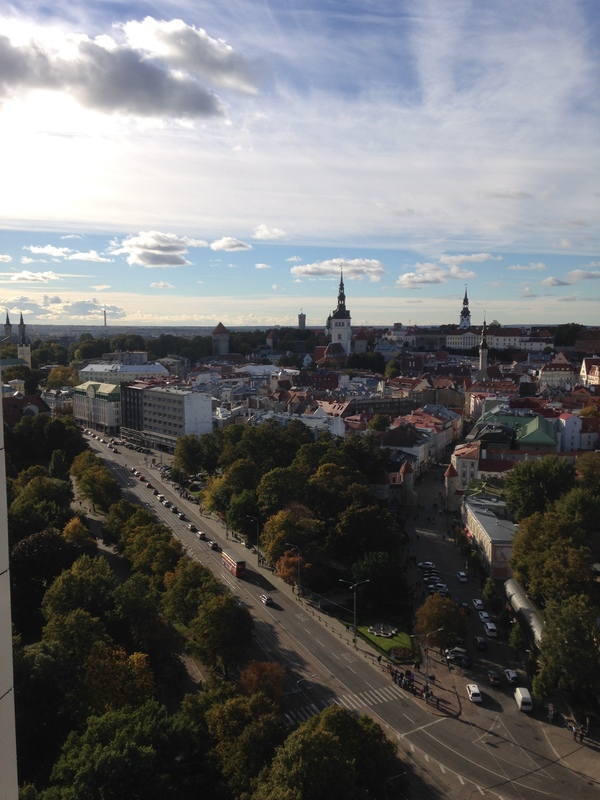 First I attended the Oracle Technology Day in Estonia and was presenting at the OUGE (Oracle User Group Estonia) track. I think it was a great day! I learnt a lot about Apex and I was able to share my knowledge on database designing and Data Modeler to a big audience. I was surprised how much audience they got the event in such a small country! Well done Ilmar and Oracle Estonia! And thank you everyone who attended my session! After the event I had a dinner with my friend Ilmar who is the president of OUGE. And then to the airport to attend the IOUG webinar about 12c to Developer… Well if something can go wrong it usually goes when it should not… The taxi was supposed to be at the hotel in 5 min, after 30 min still not there… Finally it arrives and then as fast as we can to the airport. Then the security and finding the lounge (the Tallinn airport is quite nice BTW). Starting my laptop and realizing the plug near me does not work. Moving all my belongings to another place. Connecting to the wi-fi… My laptop says there is an error it cannot be fixed, not able to connect. A little bit of troubleshooting and finally connected. Starting my email to see the link for the webinar. Every 30 days my email asks me to give an extra password (for security reasons) and did it ask for that on that particular moment? Of course it did! Then waiting for the SMS with the password, typing it and starting the email. Luckily the link was easy to find and then just waiting what happens next… Connected! You will not believe how surprised I was! Then I set my webcam on and see myself on the screen 🙂 Oh dear, that is all I can say 😀 Luckily we decided we will not use webcams so problem solved. The webinar was really nice, I had fun! We had a panel of three: Steven Feuerstein, Patrick Barel and me. Alexis from IOUG was a great host for the panel! Thank you everybody for attending! I hope you had as much fun as I did!